Every purchase or sale you make gets you a chance to win $1,000 cash at the end of the auction. 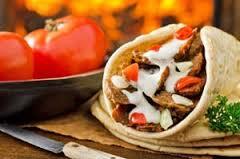 Donairs, shawarmas, salads, fries, whatever you're in the mood for King Donair has you covered. This isn't some one-off donair shop. King Donair is a province wide chain with locations in Calgary, Red Deer and Sylvan Lake. The Regal Auctions Lanes App streams vehicle details, important declarations, condition report photos and CarFax reports directly to your smart phone or tablet as the vehicles go through the auction. When a new vehicle enters the auction ring the data on your device updates automatically. All you have to do is pick which lane you want to follow. Please Note: The Lanes App only operates while the auction is underway. These are partial listings only. They are subject to additions, deletions, errors & omissions. Children are not allowed at the auction. We love kids but safety is one of our top priorities and because of that children are not permitted in the auction yard or in the auction ring at any time. Boys and girls may stay in the front counter lounge as long as they are under direct supervision of an adult family member.